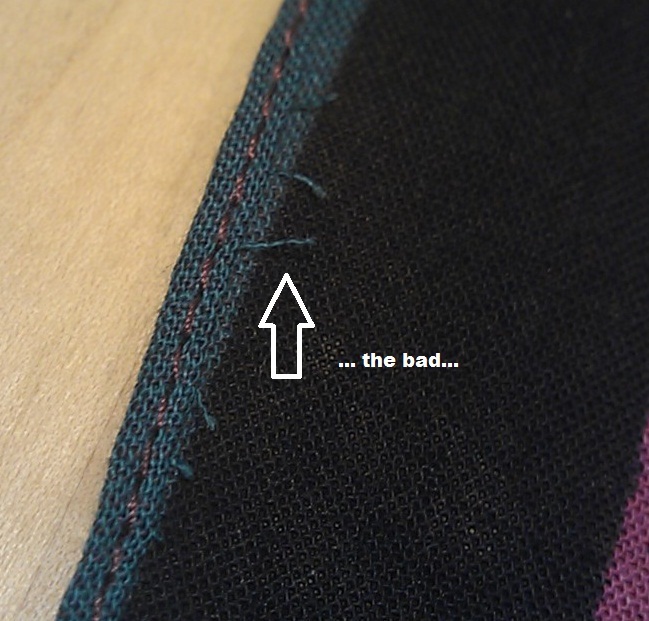 Right, so not to be narky but I was promised by a couple of people that a roll hem foot would change my life. My hems would be “neat and chic” and “look dreamy”. I got a 3mm foot for under £5 and away I went practicing and practicing…. I thought I’d pretty much perfected my technique. Yay me. Smugly I then attempted to add a rolled hem to my latest top project. Errrr disaster. Not sure whether I crumbled under the pressure of it not being test fabric, I need more practice with my technique or whether every time you have a go at these hems there’s a high chance of it turning crap. I’ve just read an ace blog post offering calm collected top tips for rolled hems from someone going through the same torment as I have been. I recommend you read it you’ve contemplating buying a hemming foot. I’d also recommend you get a 4mm or even 5mm (if they do them) as I think it’ll be easier to work with as you’re not trying to get such a tiny hem started/maintained! I’ll be off to try and buy a 5mm one soon.